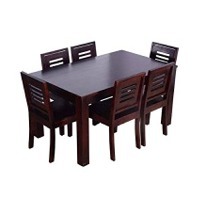 Browse dining-set suppliers by country and region. 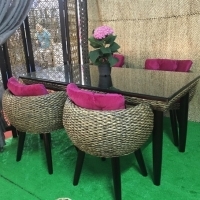 Wooden and metal furniture like chairs, sofa, desk, table, arm chairs, dining tables, center tables, end tables, mirrors, bar stools, bar cabinets, bars, consoles, side tables, accessories, occasional chairs, lights, floor lamps, table lamps, candle holders, trays, Handicrafts. 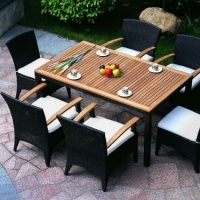 The Viking dining set is a hefty furniture group which lends itself perfectly to delightful evening barbeques in the company of good friends. The group consists of 1 pc table (90 cm in width), 2 pc benches which are 190 cm in length and 2 pc benches which are 100 cm in length. Manufactured from FSC certified Swedish pine, impregnated brown, 33 mm timber thickness. The Anna dining set is a timeless classic for those who want to enjoy the outdoors without compromise. 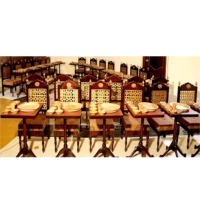 The group consists of 6 pc gorgeous folding armchairs and 1 pc table. Manufactured from FSC certified Swedish pine, lacquered java. Outstanding in deep dignity, prestige and smooth lines with in ternational sense of deisgn, "Direntor Prestige" series. 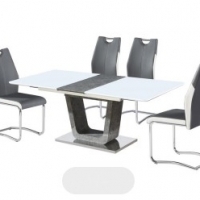 It is premium high quality office furniture for opinion leaders. "Direntor Prestige" series consists of diverse products with reasonable system, refined design and complete wiring and withdrawal functions. It creates optimal space in detail.